Different men prefer different types of beard. A beard is often the mark of a man. Clean shaved are those who like to keep it simple. Women usually prefer men with facial hair. These days there is a major male trend of keeping beard. The beards definitely vary in shapes and sizes, some like it little, some like it a lot, others like nothing! Whatever your beard style is, there is always a chance that it reflects on your personality. Women of course like to drool at the sight of a man with a beard, but little do they know that a man’s beard can be a doorway to his personality. It does not necessarily mean he is shabby or he doesn’t like to shave, it could secretly reveal his mentality, how his brain functions and what he thinks. We aren’t saying that it doesn’t have to do too much with style, but isn’t style a very personal thing? This is why we bring to you some famous beard styles and what they could reveal about the men sporting them. Those who keep stubble are considered to be trendy. You will find such men to be more fashionable that the others and they know what they are doing and have a control on their life. 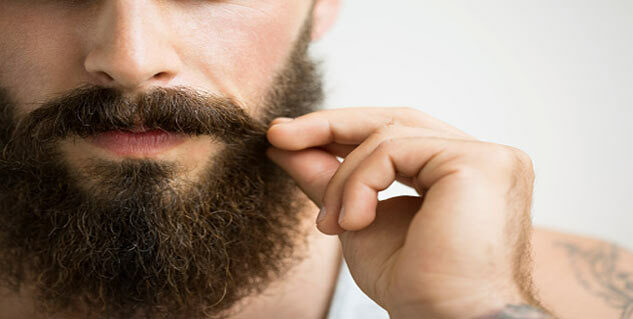 Others studies have however found that men who keep well trimmed stubble often have low morale, but then again others suggest that it means masculinity without actually trying to act like a caveman. Men with stubble can generally be considered neat. Keeping and maintaining a full beard is a hard job but that does not mean men do not like it. In fact, recent trends suggest that the full beard is in vogue currently and a lot of young men are going for the look. It is generally considered that men with full beard are aggressive and can be intimidating, however men also keep full beards due to religious leanings. Moreover, a full beard can also mean that the man is rather patient by nature! This was once in fashion and was in fact the trend of the old times. Now, the goatee seems kind of an old man’s tale, but men nevertheless go for it sometimes. So if you indeed see a man with a goatee, you can be rest assured that he is a little old fashioned and actually thinks that those old days were better off. Yes. Men with goatees do not come very often, so ladies here is a rare one. The moustache is another old fashioned facial hair which has actually found a way back every now and then. It can mean many different things; for starters, it is again sign of an old fashioned person. On the other hand it could also mean that the man is classy, like those old fashioned black and white actors. Usually men keep moustache to show off their masculinity. Last but not the least, there are those who like to clean shave and these are usually the ones who detest beards and think they are shabby, often calling them facial fungus. So there you go!